10% Discount on entire stay for all NHS Staff (direct bookings via https://plastanygraig.co.uk only). Please enter voucher code 'NHS18' on booking form and present your Health Staff Discount Card on arrival to confirm. The perfect escape with breathtaking views in the heart of the Snowdonia National Park, North Wales. Plas Tan y Graig is an award winning family run guest house offering 5 comfortable en-suite rooms with breakfast included as standard. Enjoy free unlimited WiFi, a cosy guest lounge with a wood burner and raised gardens with seating overlooking the stunning mountains and rivers of Snowdonia. 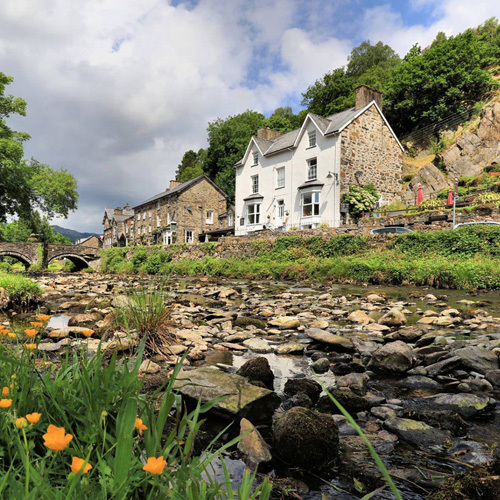 Situated in the centre of the historic village of Beddgelert, a popular destination offering easy access to Mount Snowdon and much more. Whether you plan to climb the peaks or just want to relax and enjoy the stunning scenery - Plas Tan y Graig offers the perfect B&B accommodation. Experience our warm hospitality, high quality service and room comfort. Make a reservation today!